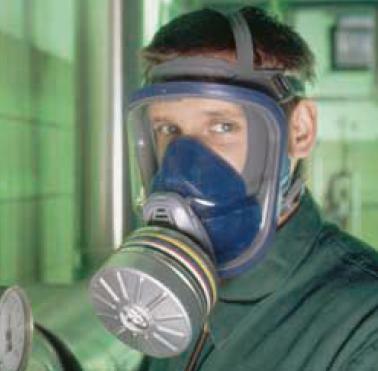 Depending on the application and individual head size, everybody has his or her own requirements when it comes to respiratory protective equipment. In order to meet every requirement, the Advantage 3000 comes in two versions, each with three different sizes. The Advantage 3000 is available for single or twin filters,which means that both the classic filter with EN 148 standard thread or the Advantage filter series can be used. The Advantage 3000 is incredibly quick to put on and simple to handle. Holding the mask with one finger, you put your chin into the chin stop and pull the harness over your head. Then you tighten the two lower straps. If necessary, you can adjust the upper side straps before putting on the mask. This makes it quicker and simpler, without any painful hair pulling. A wide variety of face shapes or face contours can benefit of a better protection with the Advantage 3000 because the new patented Advantage head harness gives a perfect facepiece-to-face fit.